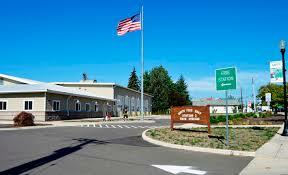 The Amity Fire District is comprised of two state of the art facilities. These facilities were both built in 2011. Station 5 was designed as the district head quarters with the Chief and officers having there offices. It has the ability to be used as a command center for all of Yamhill county in the event of a major disaster. There is a total of 10 pieces of apparatus housed at the district headquarters providing response to the entire district. The Perrydale substation provides the community of Perrydale and the sorounding area with Fire and emergency services. This facility is a 3200 sqaure foot substation that houses 4 pieces of apparatus and also serves as the Fire district training grounds.